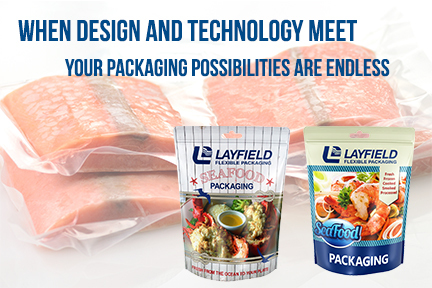 The Layfield Packaging Experts can help you achieve the best packaging format to showcase and protect your seafood product. Layfield offers a wide range of film structures to protect your product, and top quality printing capabilities to grab customers’ attention. Whether it’s fresh, prepared or frozen seafood, Layfield’s Packaging Experts will work with you to create a high performance barrier film and enhance your brand presence using innovative packaging formats and high definition printing capabilities.